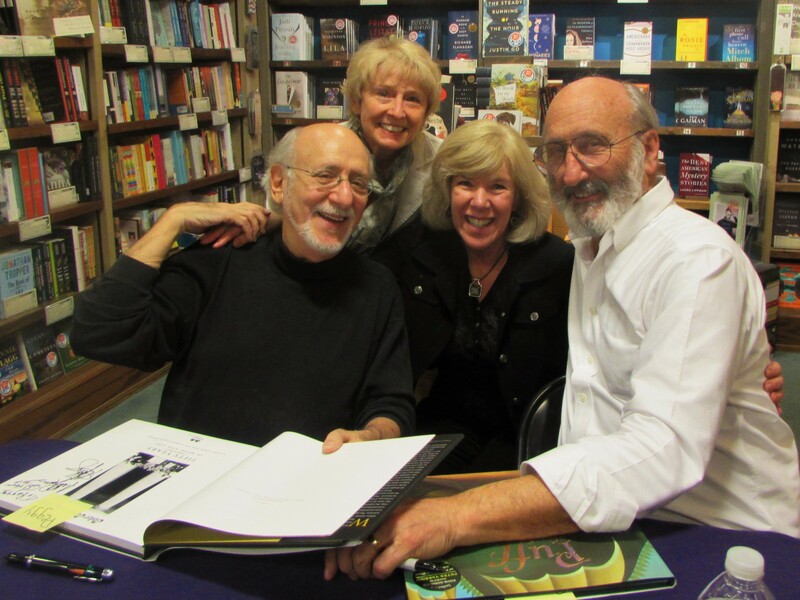 I was five or six years old when I first heard Puff the Magic Dragon in the early sixties sung by the epic folk band Peter, Paul and Mary. The melancholy song about the loss of innocence as we age became one of my favorites along with another one of their greats, The Marvelous Toy. 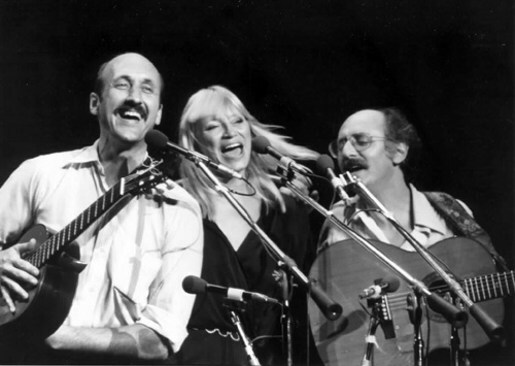 In my early teens I came to realize that Peter, Paul and Mary didn’t just sing songs that delighted children, but were part of an historic movement to bring peace and justice to a troubled world with songs like Blowin in the Wind and Where Have All the Flowers Gone. This trio stayed with me as I introduced their music and stories of social change to my own sons in the 1990s. 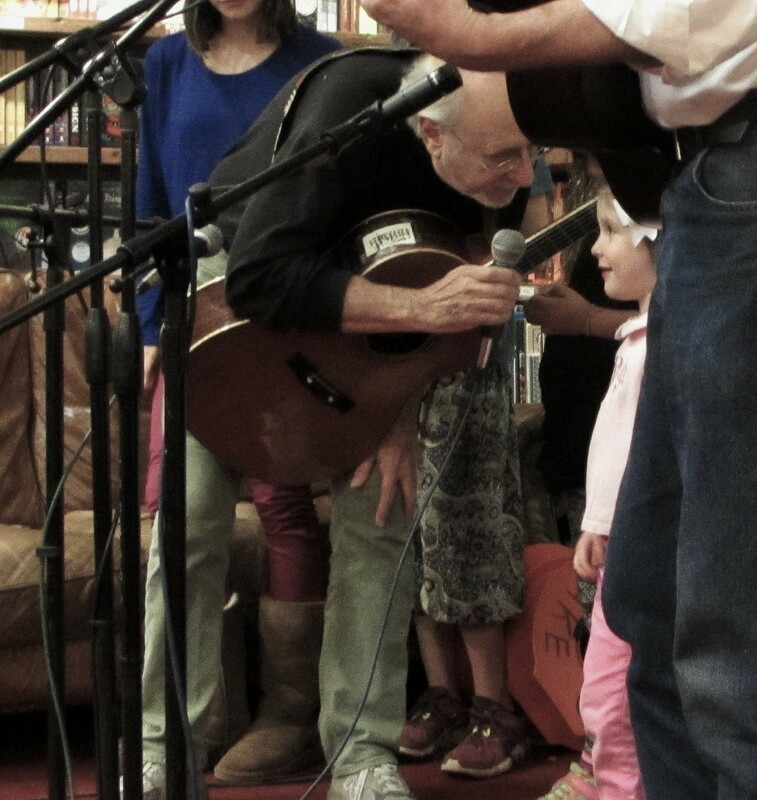 Peter, Paul and Mary continue to be part of my world today as I read and sing Puff the Magic Dragon to my kindergarten students, not to mention the gig space they occupy on my iPod. 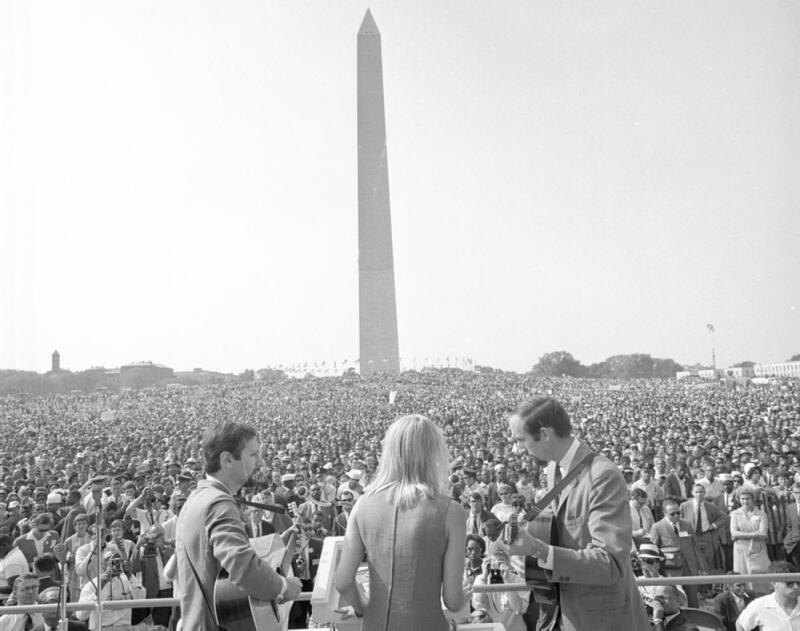 It wasn’t long before Mary Travers, who passed away in 2009, was recognized. 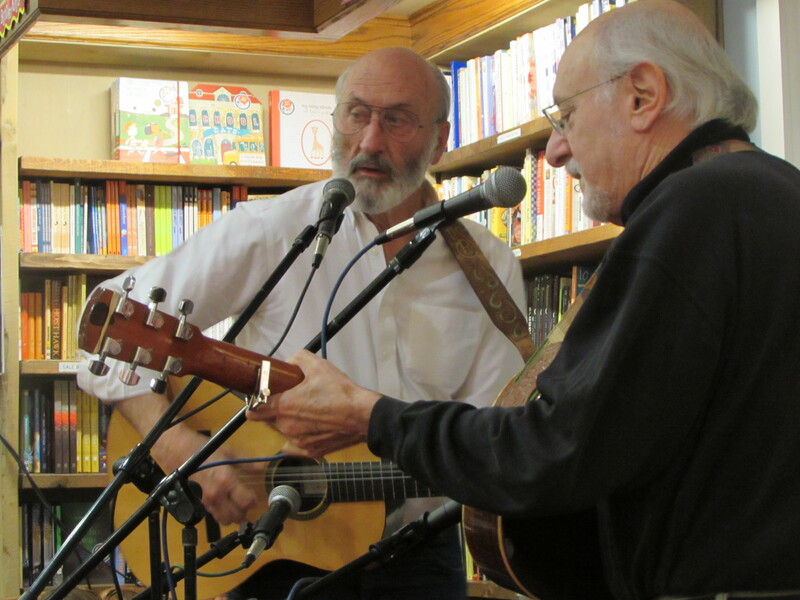 Peter and Paul expressed how much they miss her, yet always feel her presence when they perform. Paul relayed, “Mary is here as much as she’s not here.” Peter added, “We hear her voice and know it’s real because audience members have told us they hear her too.” Although Mary wasn’t involved in writing their new book, Peter said, “The three of us blended as we walked through the pages.” They then paid tribute to her by asking the audience to sing Leaving on a Jet Plane with them. A highlight of their performance at Northshire was when they invited the children to come up front and sing Puff the Magic Dragon. It was evident that this song is still alive and well as the children sang the lyrics flawlessly when it was their turn at the microphone. 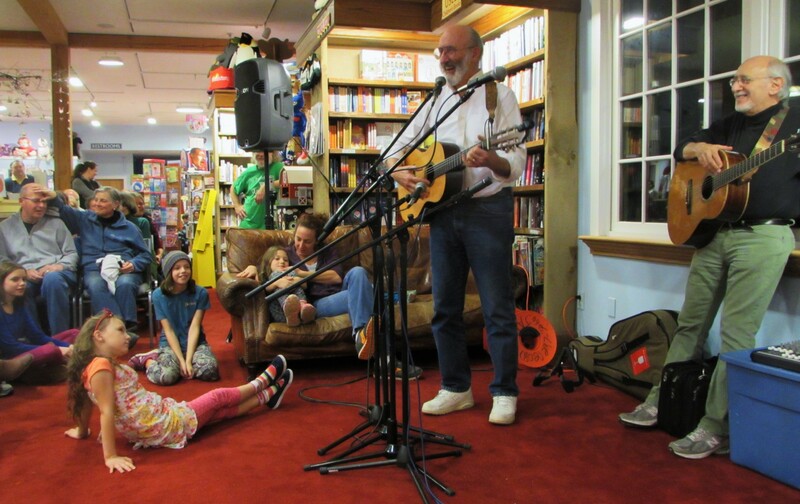 After a hand-clapping, sing along of If I Had a Hammar, it was downstairs for the book signing where fans enjoyed some conversation and laughs with Peter and Paul. Categories: Uncategorized | Tags: Books, folk music, Magic Dragon, Memoirs, Paul and Mary, Peter | Permalink. Thanks for that post, Peggy. Wish I’d known about this event, I’m sure it was amazing. I’ve been a lifelong fan (turned on to PP&M by my mom when I was just a wee little lad. Patty and I saw the trio in concert two or three times, once at Proctors not long before Mary passed away. 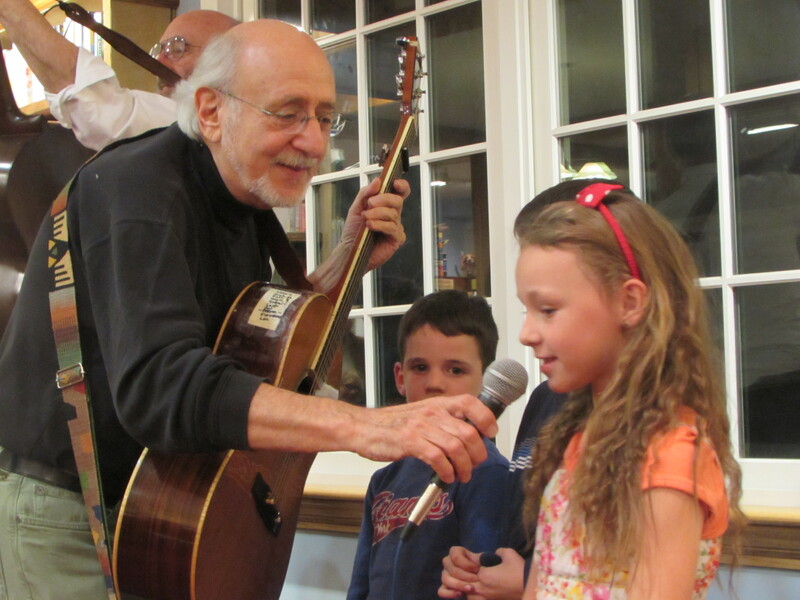 And saw Peter Yarrow and his daughter do a very intimate performance at our church a number of years back. They are, to me, the epitome of harmony–both musically and in their beliefs. So glad Peter and Paul are still doing music together on occasion. The world needs them. Now, I think, more than ever. How very cool to spend an evening in song with these two (three 🙂 Thanks for the trip down memory lane!